If you have a water dog like mine, you know that a bath can only keep them clean for so long! When Chloe was a puppy we had some shampoo that was geared toward puppies and the only reason I bought it was because it said Fluffy and Puppy in the title. 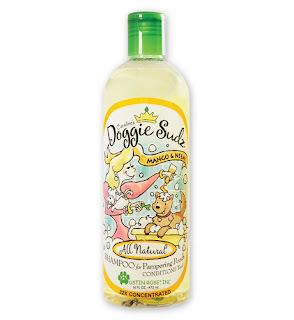 I was thrilled to be asked to try a product by Ausin Rose, Caroline’s Doggie Sudz. 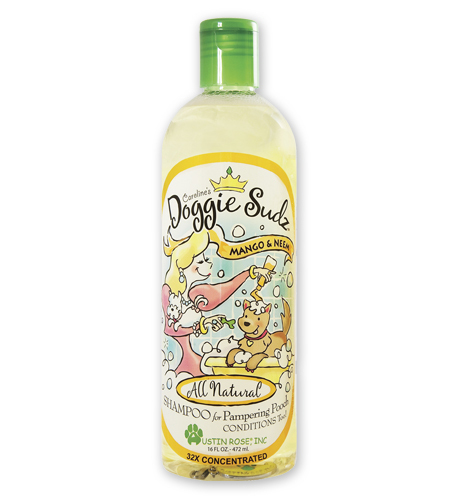 This is an Organic Pet Shampoo and Conditioner. I chose to try the Mango &; Neem Oil variety. There is also Lavender and Neem oil one. What is Neem? I did not know either before getting this product. It is a natural oil, from the neem tree that helps keep fees, ticks, mange, mites and other insects away and promotes a shiny coat. Although we use a monthly Flea and Tick medicine I love that we get an extra dose in her shampooings since we have a wooded yard and have a lot of ticks. You might wonder why do I need organic for my animal? There are several good reasons to try organic products. Not only does it help the enviornment but animals like cats and dogs tend to lick themselves and you don’t want them taking in all the chemicals too. It is also cruetly free in the production and testing. Another great reason to buy organic is to avoid irritants. Although I am pretty careful about getting soap from around the eyes, however there is no perfect way to wash a dog. We had no problem with irritating her eyes. It sudz up like other brands out there but there are no chemicals to harm your pup. Have to love that. I am so thrilled to be introduced to this Dog product line by Austin Rose.. Other organic products include Finishing mist, Stain and Odor remover, and several Odor control products. Even better, Austin Rose has given me the opportunty to give one of my readers a full sized bottle of the Mango Reem Shampoo, a $10 Value. I was provided a sample for this review. I was not given any other compensation for this. The opinions are all my own. Besides the shampoo, I’d love to try the Caroline’s Stain & Odor Remover. Great giveaway! We really need a new shampoo product for our dog Preston. He has somewhat sensitive skin so I think this should work really well! I like the Caroline’s Doggie Shine, that seems different and nice. 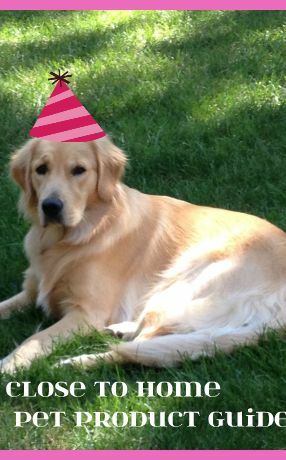 looks like a fun dog! and a clean one! Looking good, gorgeous, and clean!! I so need this for my dog!!! He loves getting into the mud, and swimming in the bay, hehe. I don’t have a dog, but if I ever did looks like I would need this! oh my! Love the shiny coat!